I recently had fun hanging out at a youth music program called DJ 101 in Toronto’s Regent Park. 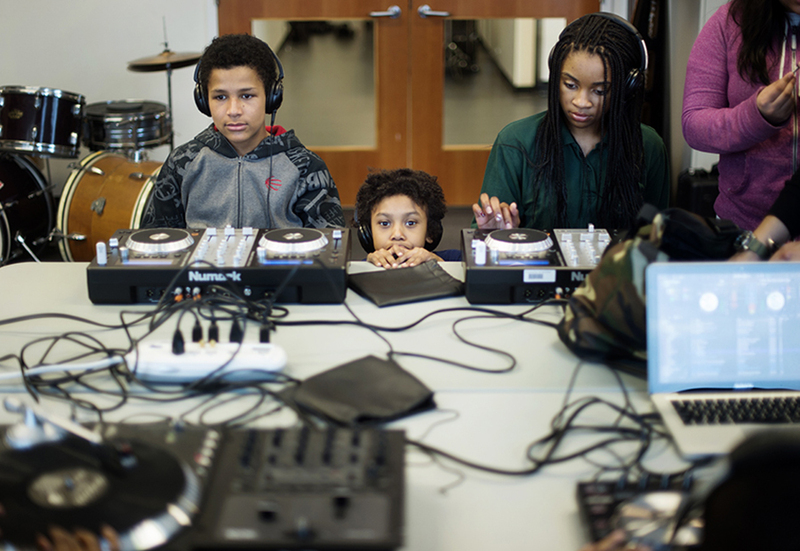 Kaya Puddicombe, centre, 7, waits his turn to scratch records on a turntable between Ben Aenishanslin, left, 13, and Tamoyah Morgan, 15, at a music class called DJ 101 at the Regent Park School of Music in Toronto. 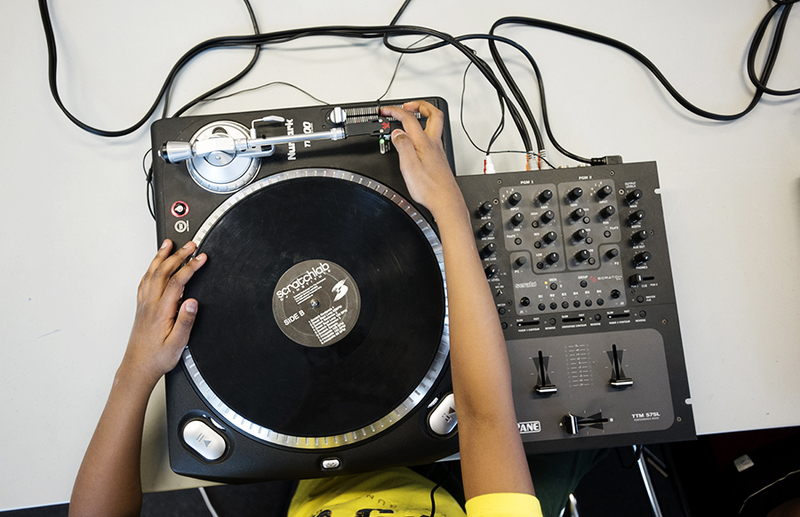 Joel Michael, right, 11, uses a turntable during a music class called DJ 101 at the Regent Park School of Music in Toronto.